offers the best possible prices for shipping to Bangladesh, from the best global courier services, for up to 60% cheaper. Whether you're sending a gift to Bangladesh from the UK, or a large freight item, our price calculator enables you to select from a range of reliable fast express and cheap economy delivery options. So whether you're shipping to Bogra, Khulna or Rangpur, makes sending a parcel to Bangladesh easy, low cost and hassle free. With more than 30 years of experience building partnerships with the world's best couriers , we're able to offer the best Bangladesh delivery rates without having to compromise on quality. Select fast express or a low cost economy delivery. With prices up to 60% cheaper than sending by standard post you can skip the Post Office queues and enjoy a faster delivery with . As experts in international shipping we offer great rates to more than 220 countries worldwide. Whether your shipment is large or small, makes it easy. We deal with parcels of all shapes and sizes every day. So if you need to know how to send a parcel to Bangladesh, has the right option for every budget. simplifies postage to the UK too. Our great import services help you ship from Bangladesh to the UK. With express and economy shipping options, your parcel can be in the UK in less than a week. When sending to Bangladesh, every parcel goes through customs clearance. Unless you're sending documents, there are no exemptions to duties and taxes, so everything that you send will have import fees applied by customs in Bangladesh. These can range from 5% to 20%, depending on the item and the purpose for import and they cannot be paid in advance. makes it easy by generating your customs paperwork for you when you place your order, but there are some other key points to remember. Parcels worth less than $20 CAD will not have duties and taxes applied, whilst parcels worth between $20 and $2,500 will go through normal customs. Packages worth more than $2,500 will have to pass through formal clearance. We collect across the UK and Bangladesh, on the same day from some locations. For heavy parcels over 50kg, or large parcels over 180 cm in length, you will need to book a day in advance when posting to Bangladesh, and you will also need to provide the courier with assistance in loading and unloading. If you're sending a pallet or a freight item requiring a tail lift or pallet truck, please contact our customer care team prior to collection. Unless you have used one of our timed delivery services, delivery is made between 9am and 7pm on working days, and we make three delivery attempts as standard. If you're sending a heavy package to Bangladesh, you'll need to provide the driver with assistance unloading. 's courier services include real-time parcel track and trace that follows your parcel from when you hand it over to your courier all the way until it is in the hands of the receiver in Bangladesh. If there's a problem, the status of your package will be changed to 'exception', and we will email you to let you know exactly why there is a delay. That means that no matter what might happen, you know that your parcel is in great hands. To get started, simply enter your parcels tracking number into our tracking tool. There is no gift exemption for sending gifts to Bangladesh. This means that even gifts with low values will have duties and taxes applied, which will be charged to the recipient. Duties and taxes can be between five and 20%, depending on what is being sent and why. When sending gifts, you shouldn't just call them "gifts" on the customs form – instead write a full description, such as “Gift – children's clothes” This will help make sure that your package clears customs without any problems. Sending luggage by courier is a quick and easy way to avoid excess baggage charges at the airport, you just need to know how to ensure your bags clear customs. There are no exemptions for the import of personal goods or unaccompanied luggage to Bangladesh. This means that you will have to pay duties and taxes in order to have your personal effects cross the border. The recipient of the shipment will be contacted to pay any fees before the parcel is cleared. When sending personal goods, it's important to make it clear in your customs paperwork that the items are being shipped for your personal use. When shipping to Bangladesh, personal effects are considered items used by only one person. You could send clothing as personal effects, for example, but not towels. If you do want to send goods that are used by multiple people, they're considered 'household effects' and are treated as completely different during the customs clearance process. Always be totally clear and thorough with customs forms when sending personal goods to Bangladesh. Sometimes you need to ship something bigger than a parcel you can simply hand over to our driver. That's why are experts in large and heavy parcel delivery. If you're looking to send a shipment to Bangladesh which is up to 270cm in length and 1,000 kg in weight, then we have the courier service for you. For packages over 50 kg in weight, bookings need to be made 24 hours in advance and assistance will need to be provided to the driver for loading and unloading. There are plenty of great opportunities to send food to Bangladesh, whether it's a gift for a special occasion or someone you know has had enough of Bhaji and Dal and is missing the unique taste of home. Not all foods can be sent via courier however, so check out our guidelines below to see if the snacks you're sending are suitable. There are no exemptions when sending to Bangladesh, so even though food is low value, you will have to pay customs duties and taxes. The recipient will be contacted to pay these fees before the package is cleared from customs. Shipping a parcel halfway around the world is a complex process, and by the time it arrives in the hands of your recipient, it will have changed hands many times. To make sure that it gets there in the same condition it leaves in, you should make sure to properly package your goods. When you're shipping internationally, it's important to use a brand new box. Old boxes may appear sturdy, but may be hiding a weakness that could lead to a box bursting in transit. suggests using a double corrugated box for goods heavier than 10kg. Be generous with internal packaging. Wrap your goods separately with a good amount of bubble wrap, and make sure to fill your box with plenty of peanuts or packing paper. When your goods are in the box, no part should be touching the walls, and they shouldn't move when the box is shaken. If you're using an old box, remove all previous labelling and add your new labels. Using packing tape, you should wrap completely around the box three times in a Union Flag pattern, paying special attention to the seams and corners, which are the weakest parts of the box. Can I send food to Bangladesh? Yes. With , you can ship food to Bangladesh. Remember though, that any homemade food will not be allowed. The only food that can be shipped are non-perishables in their original, store bought, packaging. The customs agency in Bangladesh examines your package when it arrives into the country and applies the relevant duties and taxes – this has nothing to do with . Customs are part of the local government. Is there anything that I can't ship to Bangladesh? When you're sending to Bangladesh, there are some goods that are not allowed into the country. has a list of prohibited items that we cannot carry, and Bangladesh customs has a similar list. Be sure to check them before you book your shipment. Will I have to pay duties and taxes if I ship my luggage to Bangladesh? Yes. There are no exemptions for personal goods when sending to Bangladesh, which means that you will have to pay full duties and taxes on your luggage. If I want to send a gift to Bangladesh, will I have to pay any extra charges? Yes. There is no gift exemption when sending to Bangladesh, which means that they are treated in exactly the same fashion as a normal parcel, which must clear customs before being allowed entry into the country. When you send with , you'll always get the best possible service. We offer door-to-door tracking and a signature proof of delivery, all for more than 60% cheaper than booking directly. Yes. 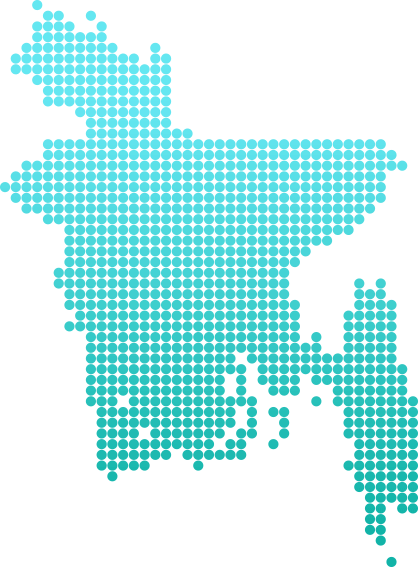 We offer air freight delivery to Bangladesh and can ship pallets up to 1,000 kg in weight. If your goods are not on a pallet, we can ship packages as big as 270cm long and weighing as much as 70 kg. Why doesn't work with economy carriers? prides ourselves on offering more than just great prices – we want your parcel to be in the safest hands possible. That's why we choose our partner couriers carefully and only work with global carriers like DHL , DPD,FedEx , TNT and UPS. Can I send my business goods with , or to ship an eBay item to Bangladesh? loves working with businesses, and offers a range of business shipping services to make sure that your company is getting the best prices possible. And if you're in the market for an eBay shipment, you can use our eBay shipping calculator to check your delivery costs before needing to create an auction. What are the delivery times to Bangladesh? Our express service delivers to Bangladesh in 3 – 4 days, however if your shipping to remote areas such as Manpura, Nasirnagar or Khagrachhari Sadar, then deliveries may take an extra day or two.